The Nigerian music scene has come to life in such a short period of time. These days, it seems Nigerian music videos are being produced at the same rate Nollywood movies are being produced every day. From club bangers to love songs, from afro-beat to gospel, you name it; the list of music videos being produced is endless. However, of the thousands of music videos being produced, check out the best of the lot and what make them hot! Rainbow is yet another soulful track from 2Face, with T-Pain adding flavour to what is an already distinct track. The video might be a sad one, but yet emphasizes the message that 'you don't know what you have until it is gone.' 2Face cannot see rainbows anymore, but it is obvious the rainbows are still over this music video with it finding comfort in a top 10 spot. On top your matter is perhaps one of Wizkid's track that appeals to both the old and young. The video is brilliantly shot and colourful. The video really brings across the message of Wizkid's track as it shows Wizkid and his friend courting their respective girlfriends, up until his friend's wedding. This music video is sure to put a smile on the faces of many and re-ignite some lost passion. Most of Phyno's releases have been club bangers, and he delivers yet another one with Parcel. What is in that parcel? That's right, you guessed it — money. The track's message: if you have got it, spend it! In the video, parcels pop up everywhere now and then as Phyno raps his verses showing the dough, with some girls also dropping it low to the track. What makes this song a top 10 hit? 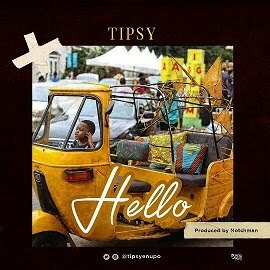 It is a club banger, and also it might serve as a motivation for some to hustle and get that parcel like the boy Phyno. With D'Banj and Wande Coal off the menu of Mavin Records, Dr. Sid has been pushed to the forefront. 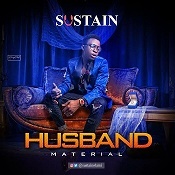 Surulere is hands down Sid's best output to date. The track, along with the music video starring Funke Akindele and Helen Paul emphasizes on the importance of patience and perseverance, and with many Nigerians having to persevere through the difficult situations in the country, it is no wonder Surulere is a top 10 track due to the track's message as well as its catchy tunes. It is the belief that every lady wants a gentleman, well with this track, D'Prince and Davido are out to give the ladies more reasons to find that perfect gentleman. The colourful and eye-catching video directed by Nigeria's most sought after music video director, Clarence Peters, portrays D'Prince and Davido as the perfect gentlemen with their stylish suit-and-tie outfits trying to woo the ladies with their verses. In the music video Girl O, Pantoranking plays a guy whose next door neighbour's boyfriend has the knack of turning her into a pua. With rap flows very similar to American rapper, Nicki Minaj, it is perhaps no surprise that Eva is the only female whose video made the top 10. The video, which at some point resembles an American West Coast video with Eva rapping from the roof of a Mercedes Benz Convertible, is very simple but still captures the viewer's attention thanks to Eva's distinct rap flows. However, it also has to be mentioned that the ladies in the video were quite attention grabbing too. It has to be said that the beats on this track go so hard. Emmy Gee features several South African artistes on the track, and it is all about spending that rands and naira. This track is sure to get many clubs and parties rocking. The video features pretty ladies, flashy cars, exotic mansions, as well as a lavish meal set on a dining table. There's no better way to spend all that rand and naira.